We all dread riding during the winter months when it will be cold, wet and with spells of snow and ice and of course the depressing grey days and short day light hours...Brrr...!! 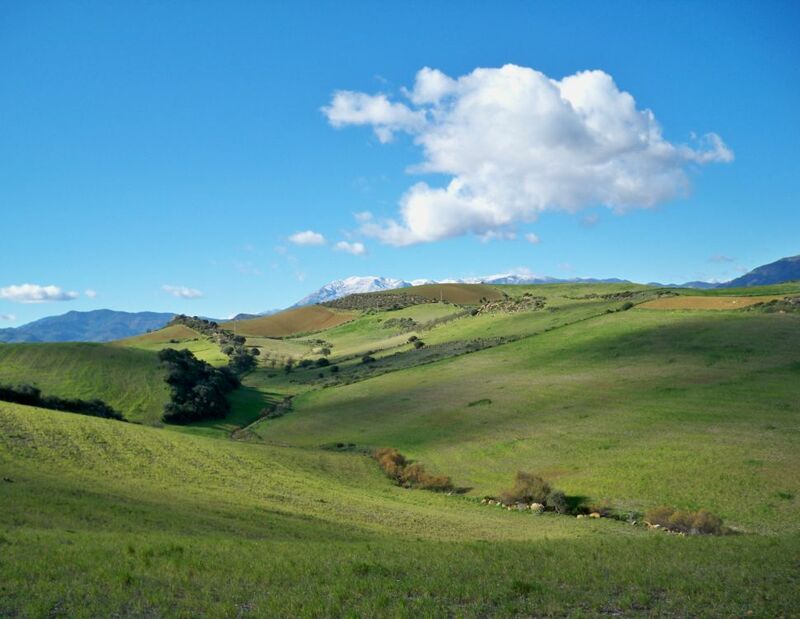 Here in Andalucia however, for much of the winter, riding conditions can be perfect with long, bright sunny days and temperatures between 15ºC - 20ºC with evening temperatures dropping to between 5-10ºC. The countryside is rejuvinating from the long hot summer! We have an average of 6 beautiful hours of sunshine a day and this of course provides us with beautiful riding conditions. 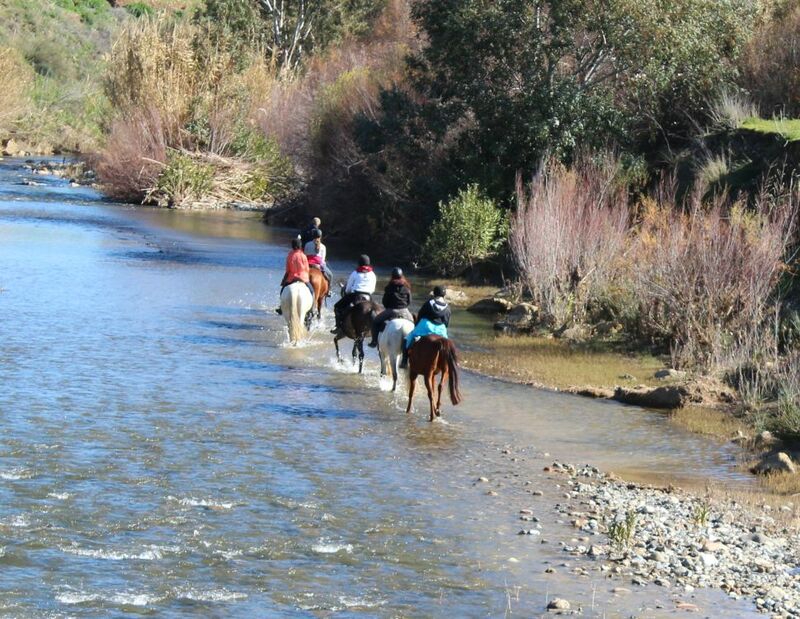 It is not unusual for us at all to ride under a clear blue winter sky with bright sunshine whilst enjoying the spectacular view of the snow capped summits of the local Sierra de las Nieves mountains .....it feeds your soul ! And the horses love it too! Should we have a rainy day, then we can offer the alternative of a 1 hour riding instruction in a covered outdoor arena - so if the heavens do really open up - you will still be able to do some riding ! And to pack more into your week we can help you with further excursions or activities. You could opt to undertake Spanish classes or enjoy Pilates or a relaxing massage whilst you are here. for the discounted rate of 950 EUROS per rider ! You are only a 5-10 minute (uphill) walk away from the centre of town (Coín), a bustling Spanish town of around 25.000 inhabitants where you will find tapas bars, supermarkets, shops and restaurants. 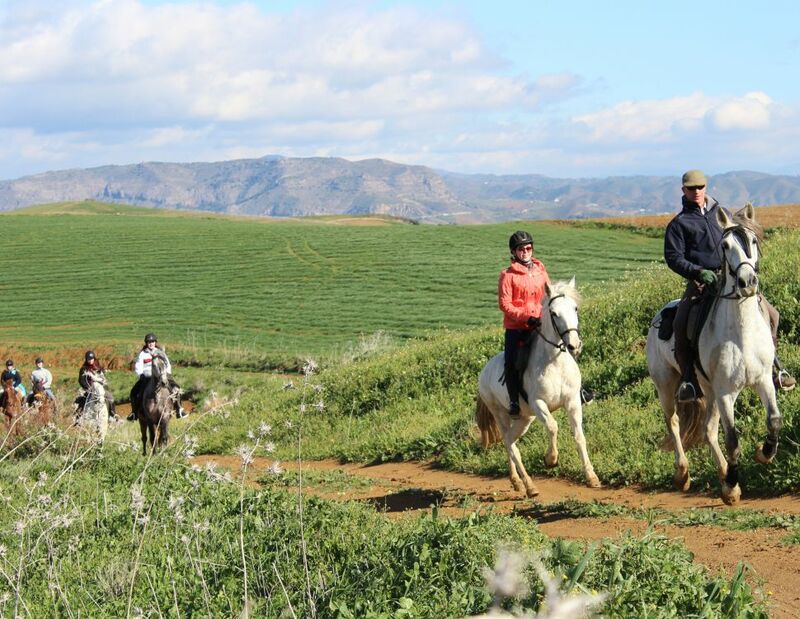 We invite you to share in a really great week of horseriding under the Andalucian sun to get away from the dark, cold and dreary winter months back home ! The cheaper flights on offer during the winter months and our special winter package rates will make it easier for you. We are also open for the Christmas and New Year's weeks . New Year's eve in Coín features a huge fancy costume party with dancing in the streets all night long. This is a fantastic happening for young and old celebrated with lots of humor and without aggressive behaviour. Pure fun ! For more info and to check availability use the enquiry form below or please e-mail us.